With millions of packages sent and received every day, there are lots of exciting prospects surrounding the future of delivery, from drones to local lockers. 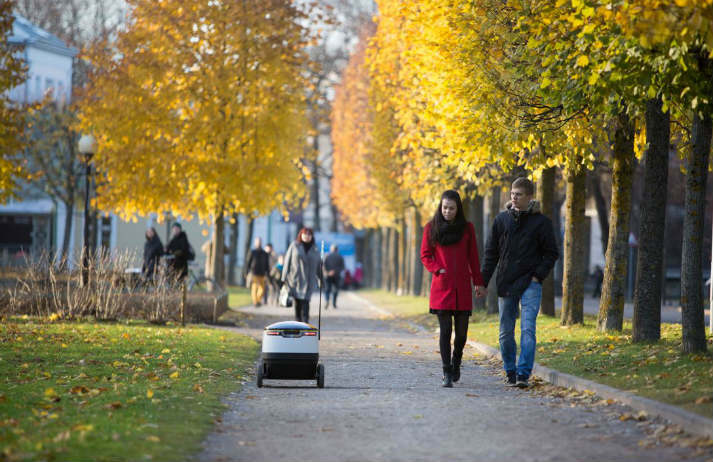 The co-founders of Skype are next in line, launching small, autonomous electric vehicles that travel down the pavement. How many times have you ordered a package only for it to end up arriving at your home while you’re out? This tedious problem leads to inconvenient rescheduling or a reluctant trip to the nearest depot. Thankfully, San Francisco-based start-up Shyp is addressing the problem. Peapod’s grocery delivery service may be favoured by young American urbanites, but its core market is senior citizens. With an inviting interface and reliable delivery, over-65s are turning to the service for locally-grown food and healthy ready meals. Can its model succeed in other ageing markets? A future where drones zip around above our heads, delivering parcels within the hour just got a little closer with the Swiss Post’s announcement that it'll be trialling delivery drones to send mail. It hopes the drones will be ready to transport high priority items to your doorstep by 2020. Don’t you hate it when you run out of toilet roll? Or when the batteries die in the remote control? When you realise you’re out of condoms? Well never fear, because Uber’s home delivery service – UberEssentials – delivers all these and more, directly to your door.